The Big Wobble: Rapidly Intensifying Hurricane Eugene grows to a category 3 on the Saffir-Simpson Hurricane Wind Scale. Rapidly Intensifying Hurricane Eugene grows to a category 3 on the Saffir-Simpson Hurricane Wind Scale. EASTERN PACIFIC. NASA Satellite Spots Rapidly Intensifying Hurricane Eugene - Infrared satellite imagery of Hurricane Eugene has revealed powerful, high thunderstorms surrounding an eye. Rapid intensification continues with Eugene now a category 3 Hurricane on the Saffir-Simpson Hurricane Wind Scale. Hurricane Eugene is heading north west and moving away from land at 15 km/h with wind gusts of 75 kn/h. 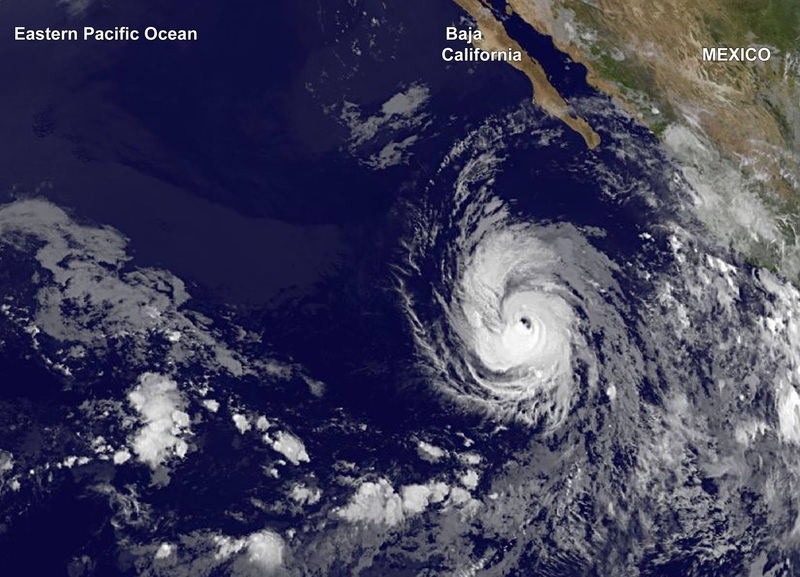 NOAA reports: Hurricane Eugene continues to move over the open waters of the eastern North Pacific Ocean, with its very distinct eye centered late Sunday afternoon about 555 miles (890 km) southwest of the southern tip of Baja California.